Stop In And Check Out Our Completely Remodeled East Peoria Location! 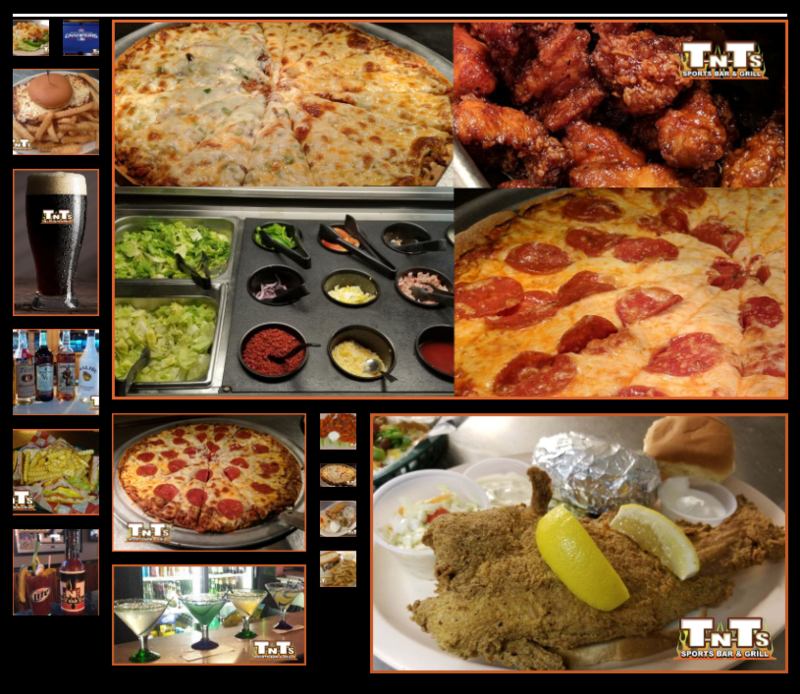 We have remodeled our entire East Peoria TNT’s location including the dining areas, bar areas, the complete kitchen, our video gaming area, even the bathrooms, plus new flooring throughout. Enjoy new seating in our dining and bar areas including new group/party areas with granite tops for hanging out with friends and enjoying your favorite sports teams on our new bigger HDTV’s in the bar area, they are awesome! Enjoy the Spring Weather in our Covered Beer Garden with 2 Big Screen TV’s, Pool & Darts. Large Parties Welcome! Have Your Birthday, Anniversary, Reunion or other Special Event at TNT’s! SHRIMP & FRIES BASKET – Eight lightly breaded butterfly shrimp served with french fries, a side of cocktail sauce, and a side of chili. – $10.95 – Make your shrimp a “Sweet Fire” for $2.00 extra. Also check out our ever-growing list of Soft Drinks, Draft Beers, Domestic Beers, Import Beers, Craft Beers, Malternatives, House Wines and TNT’s Signature Drinks including our Homemade Bloody Mary’s! 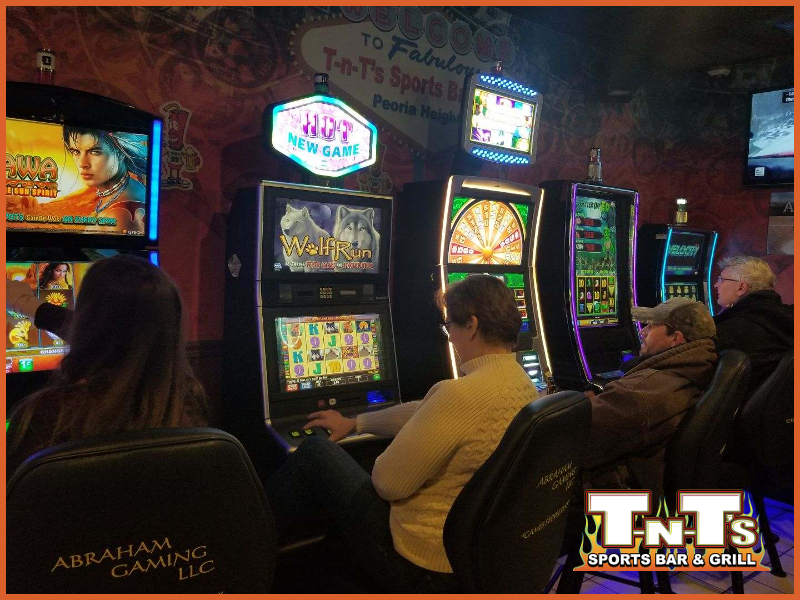 Check out our VIDEO POKER SLOTS Gaming Machines at the EAST PEORIA LOCATION! Enjoy our New Video Poker Machines while you’re enjoying some of our delicious food, drink and sports!